Apple’s highly anticipated iPhone 6S Duo is expected to be launched by the Cupertino manufacturer in September, like every year. This year’s iPhones are expected to be a minimal upgrade over the iPhone 6 Duo, but nevertheless are expected to feature several changes and upgrades on board, the most interesting of which is Force Touch. Well, today we’ve managed to unearth some new information about Apple’s latest upcoming touch panels and you can take a look at it below. This time, courtesy of DigiTimes, we have learned that Apple’s suppliers in the far East have started to ramp up production of Force Touch panels. While the sources of the publication are being vague as to which manufacturer the finished end product will go to, there really can be no other guesses apart from Apple. Force Touch modules for the iPhone 6S Duo were shipped in small quantities in June, no doubt for testing and finishing purposes, and as July ends, suppliers had already started to ramp up production at the start of this month. 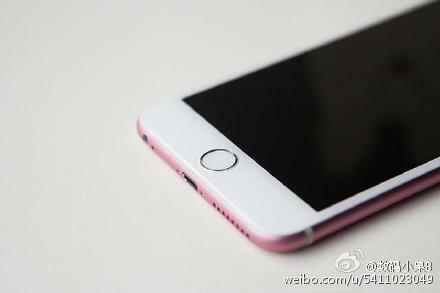 iPhone 6S production must be in full swing by now if Apple and its suppliers expect to meet the September deadline. One particular supplier, TPK claims to have entered mass production in July for Force Touch modules, but did not mention the end receiver of these modules; as highlighted above. It also expects a 50% increase in its revenues for the quarter ending this September, undoubtedly due to the massive orders Apple generally places with its supply chain. DigiTimes’ sources further expect iPhone shipments to be at a very large high this year, with the number 230 million units being thrown in the mix. The iPhone 6S Duo is expected to be launched this September and come with the A9, 2 GB of RAM, 12 MP rear camera and an all new rose gold color option. iPhone 6s Plus Annihilates Galaxy S7 In Latest Benchmarking Run – What Is Samsung Doing Wrong?